Watch full One Piece Season 15 Episode 44 English Dubbed full HD online. One Piece Episode 560 English Dubbed online for free in HD. Hordy takes his trident out of Decken’s body and after a short fight, Decken is defeated. After that, Hordy goes after Shirahoshi, slicing through Ryuboshi and Manboshi and reaching her with the uncomparable underwater speed, grabbing her hair. 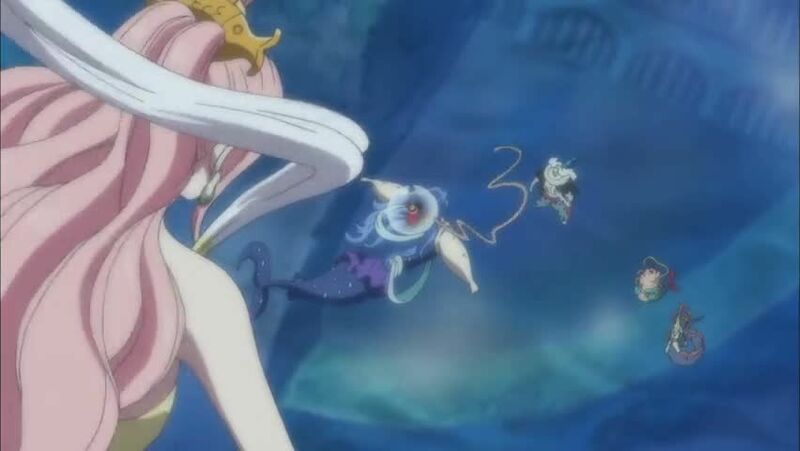 Luffy attacks Hordy, and releases the princess. Zeo makes Wadatsumi think that he has to fight for the New Fishman Pirates in Gyoncorde Plaza. Wadatsumi defeats Surume and then as he attacks Jimbei and gets pushed back, he manages to bring down Nami, which gives Sanji a reason to attack him. Hyozo becomes stronger after eating too many Energy Steroids. He tries to attack Robin but Zoro jumps in front of him and stops his attack.